I personally wouldn’t mind at all, if anyone calls Kolkata to be the city of food instead of the city of joy. One can find an assemblage of street food shops almost across all the main streets of Kolkata. Now the street foods that are found across the avenues of Kolkata are not only limited to the Indian cuisine but also includes the various types of street food that are found all across the world. Here are the 10 street food items of Kolkata that makes me dizzy and makes me want their human form to marry, of course if they have one. 1. Phuchka – For the ones who haven’t tried it yet, you better do it as soon as possible. Phuchka is also known by the name of “Golgappa”, a crunchy layer filled with smashed potatoes, spices and tamarind water. It offers a foodie everything to cheer about, there’s the crunch, the sourness and sweetness and also the incredible spices. 2. Dahi Phuchka – Anyone loving phuchka, would also love it. Everything is the same, just like a phuchka but instead of the tamarind water, curd or “dahi” is added to it giving it a creamy and crunchy combination. 3. Jhal Muri – A mixture of puffed rice working as the basic ingredient, ‘chanachur’ giving the necessary flavour, tomatoes to provide acidity and onions and coconut for dressing. Apart from these there are several other ingredients which make it one of the most common street foods of Kolkata. Jhal Muri stalls can be spotted in almost every nuke and corner of the city. 4. 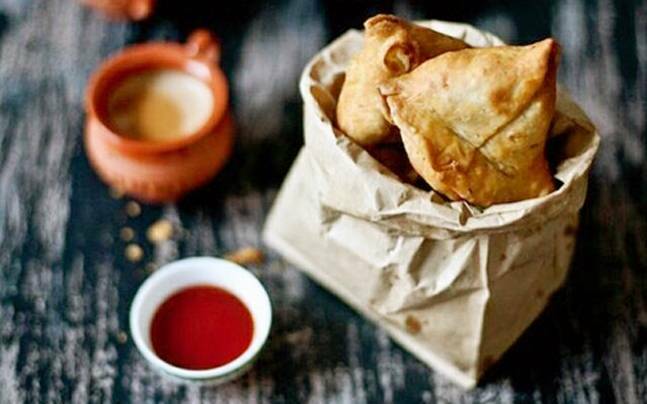 Shingara( Samosa) – Flour being its base, it’s a deep fried snack with a filling of various kinds of vegetables. Served mainly with sauce or chutney one has to hop from shop to shop to get that samosa that is ideal for their taste. 5. Rolls – It seems as if Kolkata is the motherland of rolls. Egg roll, chicken roll, mutton roll, paneer roll, vegetable roll, tikia roll- it’s a never ending list. Again the basic ingredient being the flour which is turned into dough and fried. It is then filled with certain vegetables and chicken/egg/paneer and a lot of other delicious stuff. 6. Ghugni – Kolkata’s ghugni is in its own league. A popular street food containing ‘matar-dal’, tastes best when served with onions, lemon juice and some chillies. Its best found in Gariahat. 7. Bhel Puri – A crunchy textural mixture of puffed rice, chanachur, bhujia, some salad and the tantalizing tamarind water to bring the desired amount of acidity. Its best when tasted in the foods stalls near Victoria Memorial. 8. Papdi Chaat– the base of its serving is ‘papdi’ which is made of flour and is also circular in shape and crunchy in taste. 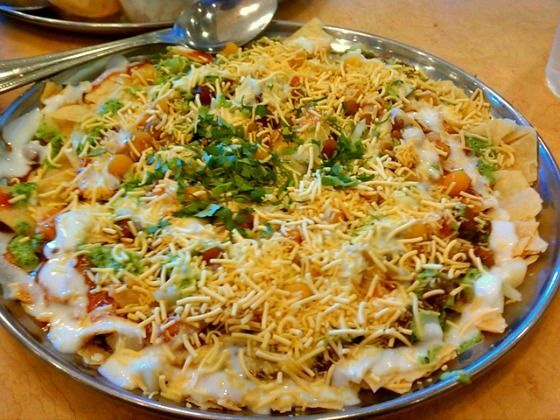 The mixture of bhujia, matter, smashed potatoes and salad is placed on the top of this crunchy base. It’s found all round Kolkata, but probably best near Gariahat and New Market. 9. Kachori– the favourite for the office goers and definitely my favourite too. A mouth-watering food to have for your breakfast if you are in a hurry. The puri is served with matter dal and can be found not only in street food stalls but also in sweet shops. 10. Lassi and Sugarcane juice( Akher rosh) – I can drink lassi any time of the year, doesn’t necessarily be have to be the summer months. Sugarcane juice can also be served as the alternative. Both are equally good. Exploring street food is not only about enjoying with your friends or family. It’s also about getting an opportunity to get to know your own culture. Thus ends my street food journey and I hope that I have covered everything. Did I miss something out? Do let me know.